Alisal Guest Ranch and Resort offers incredible outdoor activities and with a private lake, the activities only expand more. Alisal’s 100-acre spring-fed lake is one of the best places in California for year-round fly fishing. Alisal Lake is home to Northern strain Large Mouth Bass and provides for some of the best bass fishing in the state. Your guide will take you out on a bass boat and help you track down fish using traditional spinning tackle. Alisal Lake offers a diverse fleet of boats including bass boats, electric trolling boats, and other recreational boats. Packages are available Sunday through Thursday nights, September through May, or any two nights from November through March (excluding summer or holiday periods). Additional per person and suite rates are available upon request. Prices good through 12/31/2015. Cancellation Policy: If you need to cancel or change your reservation, we will refund your deposit in full up to thirty (30) days prior to check-in. All group reservations are subject to a six-month cancellation policy. Deposits: An advanced deposit is required to confirm your reservations.To contact Reservations, call 1-800-4-ALISAL. Frequently Asked Questions: Additional questions might be answered on our FAQ Page under About the Ranch. For the Golf fan in your life, there is no better package than this “all-you-could-want” getaway at world-renowned Alisal Guest Ranch and Resort. This is an all-you-could-want getaway complete with golf privileges. That means you can fill your days with golf on either the secluded, private Ranch Course or the scenic River Course. Alisal Guest Ranch and Resort has been providing memories to last a lifetime for families for generations. But, what if this philosophy applied to business and the activities helped increase productivity back at the office? 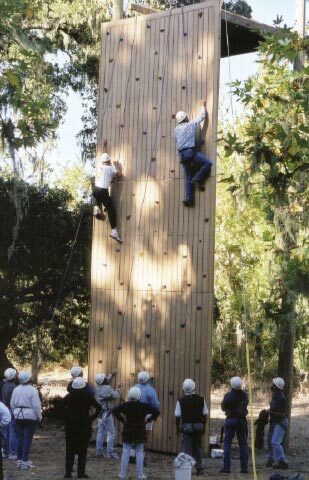 Bring your group together with our custom-designed team-building activities. Whether you’re looking to challenge your group to exceed their own personal expectations, increase team unity, cooperation, trust, and communication, or simply share exciting experiences together, Alisal will create the perfect program for you. Alisal’s Challenge Ropes Courses are situated in one of the most beautiful and remote parts of the Ranch and are designed, built, and maintained by ropes course experts. Adventure-based strategies featuring low and high ropes course elements are a particularly effective way to foster team development and personal growth. To promote team cooperation and family-friendly competition, we can arrange a variety of games and tournaments such as fishing derbies, boat races, bocce ball, croquet, shuffleboard, volleyball, and table tennis matches. Golf and tennis tournaments can also be arranged, and tailored to the skill level and interests of your group. Enjoy thick steaks, chicken, and ribs grilled over Alisal oak, plus all the fixings, accompanied by live Western music and optional line dancing with instructors. 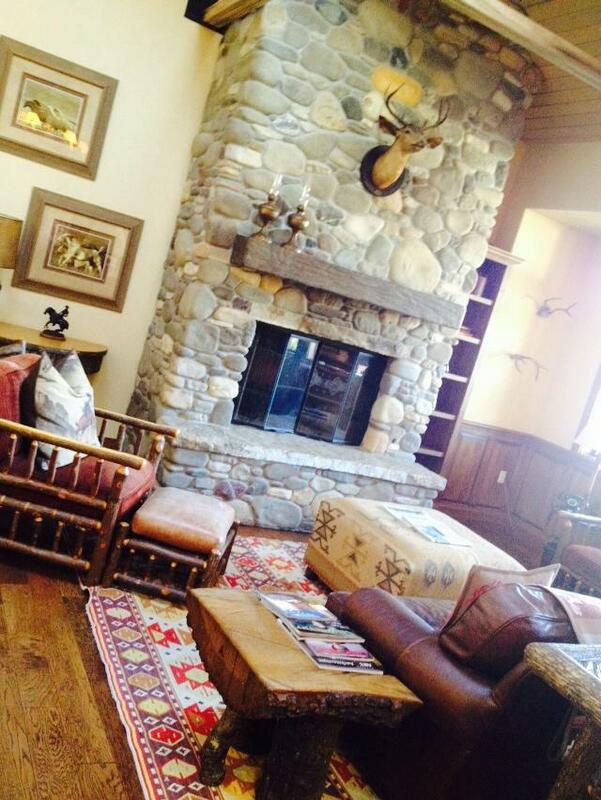 You choose the location: lakeside, poolside, at the Rodeo Arena or at our historic Adobe Camp. We’ll design a theme to your liking. 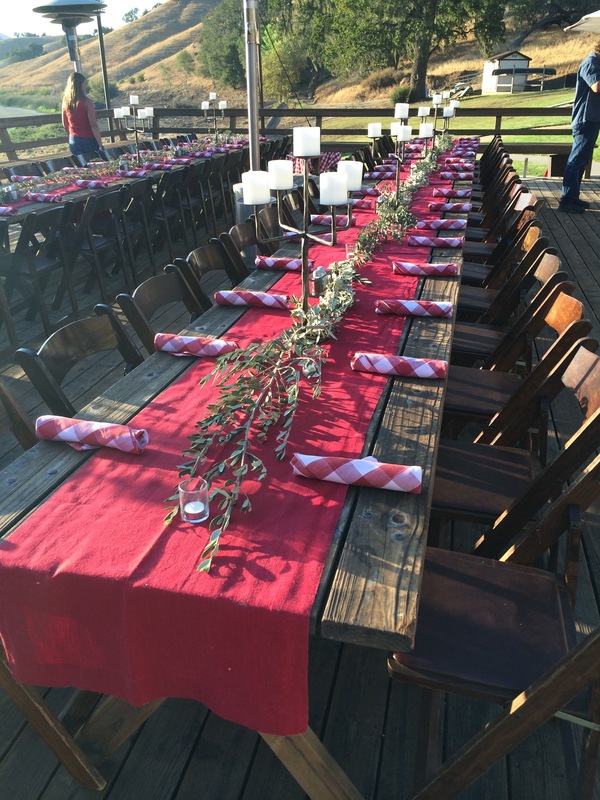 Our winemaker dinners are hosted by vintners themselves here at the Alisal Guest Ranch & Resort, or at some of the area’s most prestigious wineries. Dinners feature their best reserves, as well as exquisite meals prepared by our executive chef. Events can range from formal affairs to relaxed barbecues. Guided tours of your choice of the area’s more than 100 wineries are available for groups of all sizes. Please notify us 24 hours in advance if you need to cancel an appointment. For parties of six or more, please notify us 72 hours in advance of any cancellation. Unless we receive this advance notice of cancellation, you will be billed for cost of treatments not used. Prices are subject to change. Spa appointments can be made at the Guest Services desk in the Fitness Center & Spa during business hours. Appointments cannot be extended due to late arrivals. We encourage you to book your spa appointments in advance in order to ensure availability. The Fitness Center & Spa may only be used by guests 16 years and older (this also includes spa treatments). Please arrive 10 minutes before your scheduled appointment. Your timely arrival helps us to ensure that all scheduled clients will receive the full benefit of the services they reserved. Please note that any heat treatments and some spa facilities are not suitable for mothers-to-be. We recommend that you consult with your doctor prior to your spa visit. We recommend dressing comfortably for your visit to the spa. Valuable items should be left in your guest room. We cannot be responsible for loss or damage of personal belongings. Please inform us of any medical conditions or special needs prior to your treatment. If you are pregnant or have high blood pressure, avoid any heat treatments. Skin care procedures have specific contraindications related to pregnancy and prescription drugs. Gratuities are NOT included in the price of spa treatments or gift cards. All gratuities are at the client’s discretion. Products returned within seven days with receipt will be issued a full refund. However, credit will also be issued for products returned within seven days without a receipt. All gift card sales are final. To learn more about Alisal, visit their Website.